Bright Lights Casino claims that it is 100% safe and secure which should be enough to make any player feel at ease. 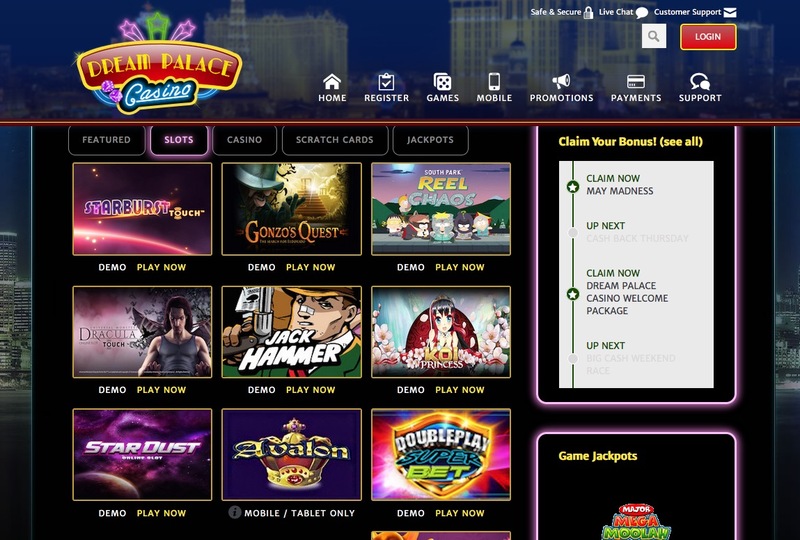 The site is operated by ProgressPlay Limited and Play Marketing UK and offers players plenty of valuable advice on how to gamble responsibly without taking all the fun out of it. The site prides itself with the highest level of member satisfaction and an excellent Customer Support team. Bright Lights Casino states on their site that the purpose of establishing Bright Lights Casino was to provide their players with a ‘novel kind of game’ that aims to merge the excitement of online gaming with traditional games in an effort to make you feel like you are playing your favourite games in a real-life casino…and it works. This site brings the life and party of a real casino straight to your home and they have all the favourite casino games to prove it. From Blackjack to nail biting Roulette, Bright Light Casino has it all. They have hundreds of Slot Games to choose from including Hit Man, Gold Factory and even Hell Boy. Players are spoilt for choice on this site with many fun Scratch Card Games such as Keno, Four by Four and Germinator. There is no need to scratch away the surface with a penny because with these Scratch Cards, you can quickly scratch away the surface using only your mouse/touchpad. BrightLightsCasino.com brings the casino right to your screens with their fantastic line-up of fun and exciting casino games which include Live Roulette, Live Blackjack and Deuces Wild Poker. If you’re on the go then don’t worry because you can bring the casino vibe with you anywhere with Bright Lights Casino on your mobile. The mobile version of the site has a great selection of games for players to enjoy. These games include favourites such as Tomb Raider and Treasure Nile and others include Thunderstruck and Cashapillar. Bright Lights Casino has a special VIP Club which is designed to reward loyal players with generous promotions, special discounts and even more benefits. For every £16 you have wagered, you will earn 1 VIP Point. There is a step ladder of different levels of the VIP Club, Diamond being the highest of the five stages. As you climb up the ladder, more and bigger benefits are open to you. For those lucky enough to be Diamond members, benefits such as an anniversary bonus and personalised gifts are available to them so if that doesn’t keep you motivated to reach for the highest level then what will? Networks: Bright Lights Casino is not part of a network.